I’m always saying that I would love to feature guest blogs here at Against Men and Fish and I recently received my first one from Yorkshire Game Angling, a great little post on ‘Getting Started in Fly Fishing’. Starting ‘fly’ fishing is nothing like as difficult or expensive as many people think. Neither is it confined to just trout or salmon. Virtually all species of fish in rivers, lakes or saltwater can be caught with appropriate fly fishing tackle. Fly Casting Tuition – a car full of expensive fly fishing tackle won’t help you at all unless you learn how to Cast a fly line proficiently. In fact, some lessons with a Qualified Fly Casting Instructor should really be the first item on your list. A good grasp of the basic Roll Cast and Overhead Cast will allow you to get the most from any tackle you buy and get you off to a proper start. Choosing Tackle – Your choice of tackle should largely be determined by what species you are wishing to catch, how big it is likely to be and where it is likely to be. 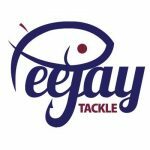 · Fly Lines are given a similar AFTM #No so you just choose a fly line #No to match your rod rating. They are installed on your fly reel with some extra Backing line. · Fly Reels are also given a guide AFTM #No to indicate their relative Diam/Weight to match them to similarly rated Rods and Lines. · Leaders& amp; Tippets are the thin ‘mono’ or fluorocarbon or co-polymer line that attach to the front end of your fly line and to which you attach your fly. · Flies/Boxes can be chosen according to the actual species, season and fishing location. · Priest you may prefer to fish ‘catch and release’ and put your fish back, but even so, there will be times when a game fish needs to be quickly and humanely killed and you should always carry a Priest to be able to properly do so. 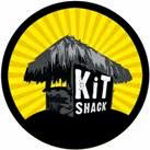 Accessories such as Floatants, Sinkants, Pliers, Line Clippers, Waistcoats, Tackle Bags, etc., can be added as and when you require them. · A fly rod of 9ft long rated AFTM #5-6. · A matching fly reel rated #5/6. · A matching Floating fly line rated AFTM #6 to match the rod. · Some 9ft long Tapered Fluorocarbon Leaders with 4lb, 5lb and 6lb BS at point. 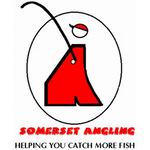 · 3x spools of 4lb, 5lb and 6lb BS Co-polymer or mono leader material. · A tackle bag to keep your equipment clean dry and grit/dirt free. · Line clippers or scissors to trim knots when attaching leaders and flies. Yorkshire Game Angling stock a range of Fly Fishing Starter Outfits and their Game Fishing Staff will be pleased to help you get started in fly fishing. Hopefully there will be a few more over the coming months, so if there any other bloggers out there that would like to be featured please get in touch (via the contact form on the right of the blog). I have a couple more guest blogs in the pipeline on subjects as far removed as mullet fishing to Canadian carping (although they have been in the pipeline for a fair while now!) so if you have any good fishing stories, tips or reviews, send them in.